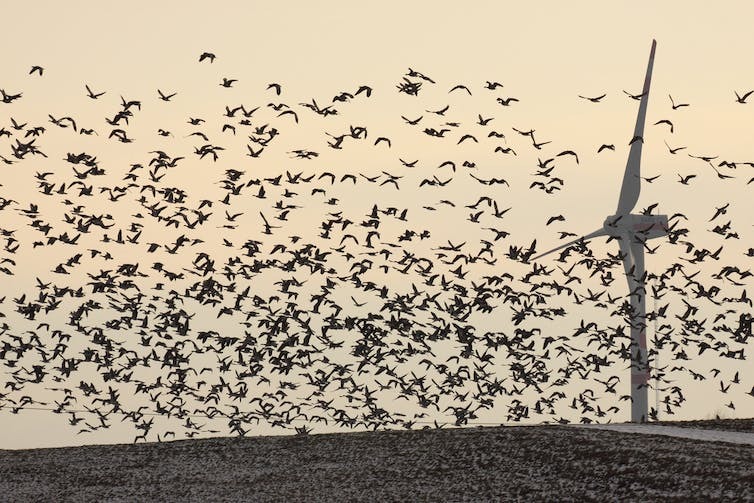 People who oppose wind farms often claim wind turbine blades kill large numbers of birds, often referring to them as “bird choppers”. And claims of dangers to iconic or rare birds, especially raptors, have attracted a lot of attention. In other words, for every one bird killed by a wind turbine, nuclear and fossil fuel powered plants killed 2,118 birds. A Spanish study involved daily inspections of the ground around 20 wind farms with 252 turbines from 2005 to 2008. It found 596 dead birds. The turbines in the sample had been working for different times during the study period (between 11 and 34 months), with the average annual number of fatalities per turbine being just 1.33. The authors noted this was one of the highest collision rates reported in the world research literature. Raptor collisions accounted for 36% of total bird deaths (214 deaths), most of which were griffon vultures (138 birds, 23% of total mortality). The study area was in the southernmost area of Spain near Gibraltar, which is a migratory zone for birds from Morocco into Spain. Perhaps the most comprehensive report was published in the journal Avian Conservation and Ecology in 2013 by scientists from Canada’s Environment Canada, Wildlife Research Division. Their report looked at causes of human-related bird deaths for all of Canada, drawing together data from many diverse sources. The table below shows selected causes of bird death out of an annual total of 186,429,553 estimated deaths caused by human activity. The average per turbine comes down to 333 to 1,000 deaths annually which is a far cry from the 2-4 birds claimed by the American wind industry or the 400,000 birds a year estimated by the American Bird Conservancy for the whole of the United States, which has about twice as many turbines as Spain. Such claims from wind farm critics generally allude to massive national conspiracies to cover up the true size of the deaths. 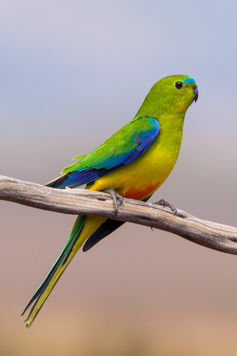 He cited concerns about the future of the endangered orange-bellied parrot (Neophema chrysogaster), a migratory bird said to be at risk of extinction within 50 years. The Tarwin Valley Coastal Guardians, an anti wind farm group that had been opposing the proposed development. Interest groups have regularly cited this endangered bird when trying to halt a range of developments. the parrot copped the blame, even though it had not been seen there for 25 years. 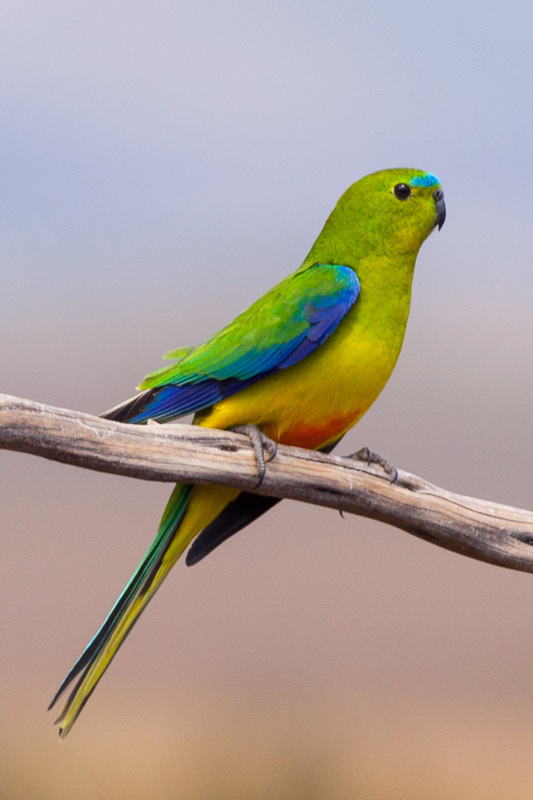 some historical sightings, and also some potential foraging sites between 10 and 35 kilometres from the Bald Hills wind farm site that may or may not have been used by the orange-bellied parrot. Sometimes nature leaves little clues that can be difficult to interpret, so getting things right isn’t always easy. Consider the case of an egg that was found in northern Australia’s remote Tanami Desert. It was spotted abandoned on the ground among spinifex in the early 1980s. After being studied by ornithologists, the view was that it may well be an egg of the spinifex-nesting Night Parrot, described by the Smithsonian as one of the world’s most mysterious birds. The chances of finding such a rarity are astronomical. The bird’s scientific name is Pezoporus occidentalis and it is known in that part of the Northern Territory as Yurrupudpudpa by the local indigenous group, the Eastern Warlpiri. But was this really the egg of a Night Parrot? There are no confirmed Night Parrot eggs among the extensive collections of the world, so nobody was really sure. Nevertheless, the possibility drifted loosely into the literature that it was the only known egg of the Night Parrot. The Night Parrot – as the name suggests – is a truly nocturnal parrot, and the only other one is the Kakapo of New Zealand. This bird of the Australian outback is also extraordinarily elusive, known from fewer than 30 specimens scattered through the world’s museums, despite its range stretching all the way from the Pilbara to northwestern Victoria. In 2013, the parrot was “rediscovered” after its almost complete disappearance in the early 20th century and despite considerable efforts to prove it was still around. Naturalist John Young found a tiny population alive and seemingly well, if not in great numbers, in remote western Queensland. Since then, research has yielded plenty of information about what the birds need for their conservation and management. So what then of the fate of the Tanami egg find? For 30 years the egg sat unstudied, first in the South Australian Museum and then in the Museum and Art Gallery of the Northern Territory, under accession code T2614. Finally, a team led by one of us (Penny) decided to investigate further, with the results published today in Australian Field Ornithology. An actual egg of the Night Parrot would be a great prize – not least because knowing of a place where Night Parrots could be shown to have bred would be a useful piece in a jigsaw of the bird’s biology that was still wildly incomplete. Penny contacted Jeremy Austin at the Australian Centre for Ancient DNA at the University of Adelaide. The plan was to extract DNA from dried membranes inside the egg to obtain a DNA sequence that could verify the egg’s origin. If a DNA sequence could be obtained, then it could be compared with sequences from two Night Parrot specimens that had both been found dead, incredibly enough, in western Queensland in 1990 and 2006. These are lodged in the collection of the Queensland Museum. It was a simple but good plan, perhaps a little technically exacting to execute, but Jeremy’s expertise carried the day. A DNA sequence was obtained from the mystery egg. On entering it into databases of DNA sequences of the world’s birds and with a figurative as well as literal holding of breath, the researchers waited for the result. The DNA sequence turned out to be an excellent match for … a Brown Quail (Synoicus ypsilophorus). It was nowhere near a match for the Night Parrot, or indeed any other parrot. This may have settled the matter, but not quite. Apart from being a rather interesting record of the Brown Quail, one more angle needed pursuing. That was a visit to egg collections held in the research collections of museums, specifically that of the CSIRO’s Australian National Wildlife Collection (ANWC), in Canberra. The ANWC egg collection has a number of clutches of eggs of Brown Quail as well as several of one of the Night Parrot’s closest relatives, the Eastern Ground Parrot (Pezoporus wallicus). Eggs (top, left) from the Crested Pigeon from near Mt Hopeless in South Australia and (top, centre) the Eastern Ground Parrot, near Noosa in Queensland and (top, right) near Evans Head in New South Wales. Eggs from the Brown Quail (bottom, left) at Bruny Island in Tasmania and (bottom, left) from near Orange in New South Wales. The Eastern Ground Parrot, though a different and better-known species, is an ecological and evolutionary equivalent of the Night Parrot but found in coastal heaths. The point is that they are indeed a very closely related species, so their eggs can reasonably be expected to be similar. All the world’s parrots lay eggs that are white – bleached sand white – and somewhat rounded, not pointed, at one end like a chicken’s egg tends to be. The egg found in the Tanami Desert was indeed pale, though not bleached sand white, and it was pointed at one end. 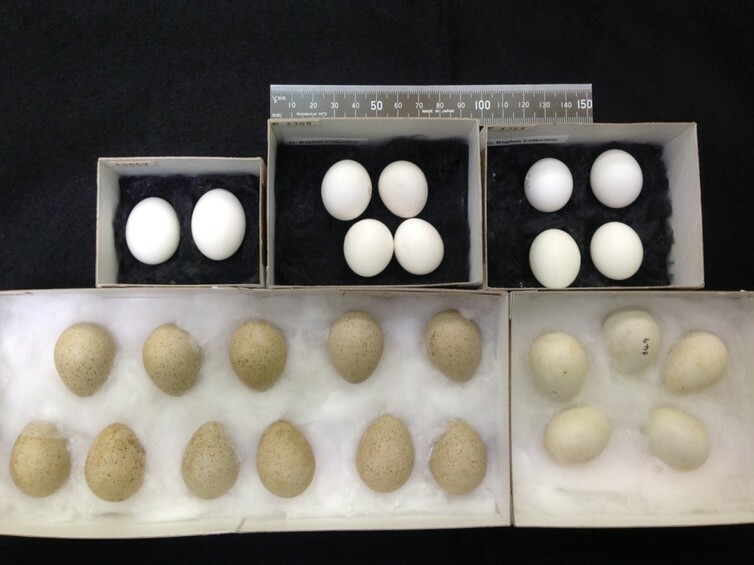 A scan through the ANWC collection showed that some clutches of Brown Quail eggs are rather pale and whitish but that they never attain that bleached whiteness of a parrot egg. Typically, they are variably speckled brown. And the shapes of Brown Quail and parrot eggs differ markedly. One end of the quail’s egg is always pointed, just like the Tanami egg. Though we may with hindsight ponder why the Tanami egg was ever thought to be of a parrot, let alone a Night Parrot, the story is a salutary lesson in the value of research collections held in museums. They provide the material from which DNA can be extracted and sequenced to build up molecular-level descriptions of the world’s biodiversity. They provide us with robust understanding of what the species of the world and their eggs (or larvae or fruits or seed heads) look like. Museums are a major repository of the raw data with which we study how life on earth has evolved. Along the way, they can also provide us with answers to tantalising mysteries about rare and little known species. As for the mysterious Night Parrot, the search goes on for new populations and more details of this elusive bird. Dr Steve Murphy, who is studying the Night Parrot population in western Queensland, co-authored this article. Galahs are the pink and grey cockatoos that are one of the most familiar of all Australian birds. They’ve have been at the centre of a curious debate: what should their scientific name really be? It’s a tale that spans centuries and continents, and has clues hidden in museums, diaries of 19th century travellers and evolution’s own diary of DNA sequences. When biologists formally publish a scientific description of a new species, they give it a unique scientific name that is forever linked to a single, preserved specimen in a natural history collection. This specimen is known as the holotype. The galah’s scientific name is Eolophus roseicapilla. Its holotype was collected in Australia in 1801 by biologists on the Expedition led by France’s Nicolas Baudin and is held in the Musée National d’Histoire Naturelle, in Paris. 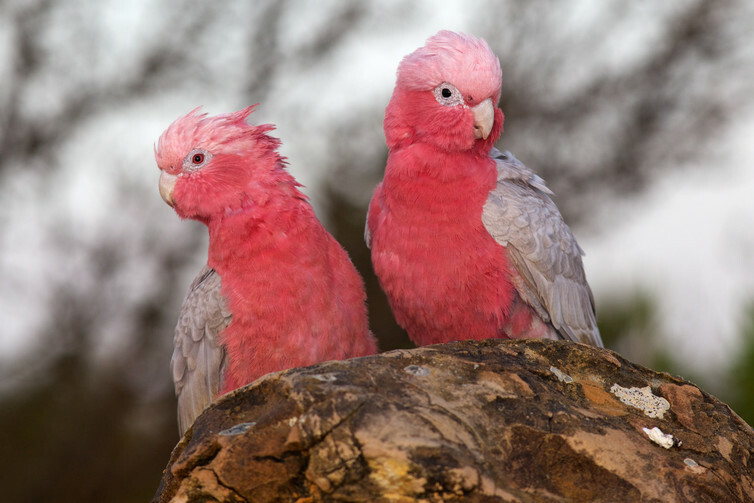 Much later, Australian ornithologists realised galahs in the continent’s west look very different from galahs in the east. Eastern galahs became known as the subspecies Eolophus roseicapilla roseicapilla, the holotype of that name automatically being the original held in Paris because it was assumed to have been collected in the east. The subspecies in the west was named Eolophus roseicapilla assimilis and that name was also linked to a new holotype, a bird from the west. But was the bird collected back in 1801 really from the east? The name roseicapilla means pink or rosy “hair” and so refers to the general pink colour of the species. It does not refer to the dark-pink headed galahs from the west as distinct from the pale-pink almost whitish-headed galahs from the east. In the late 1980s, Dr Richard Schodde, then the Director of CSIRO’s Australian National Wildlife Collection, realised the route of the Baudin Expedition wouldn’t have passed anywhere near where eastern galahs occurred at that time. Galahs were originally birds of arid, inland Australia, only expanding into their present, vast range in the early- to mid-20th century. 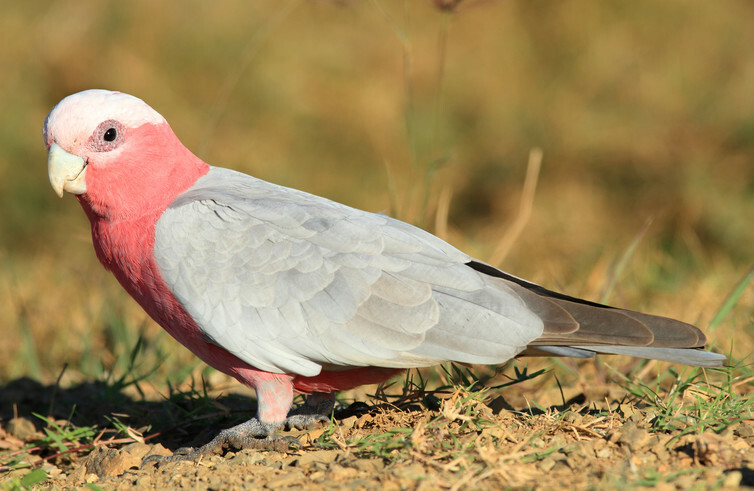 The biologists of the Baudin Expedition were more likely to have encountered galahs around Shark Bay in Western Australia. The holotype was more likely a western bird, Schodde reasoned. 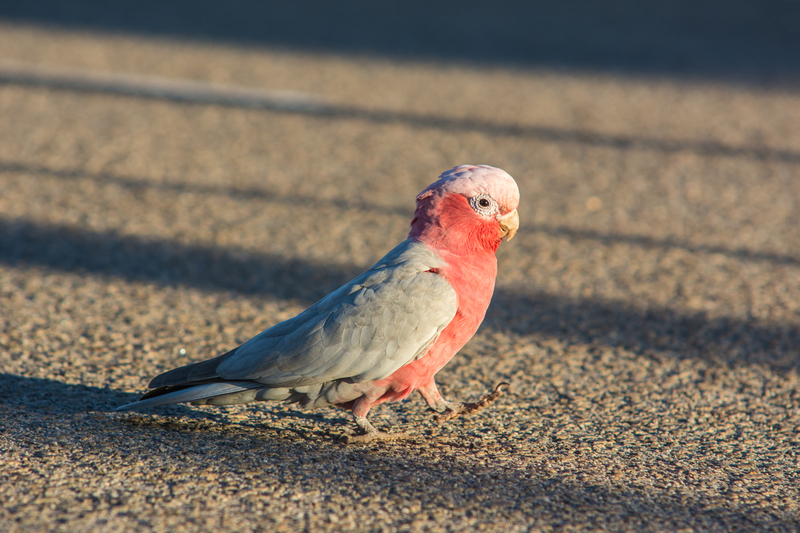 Schodde further reasoned that if the holotype in Paris was a western galah, its name, Eolophus roseicapilla roseicapilla, actually belonged to the western galahs. This left the eastern galahs, one of the most familiar birds in all of Australia, without a scientific name. 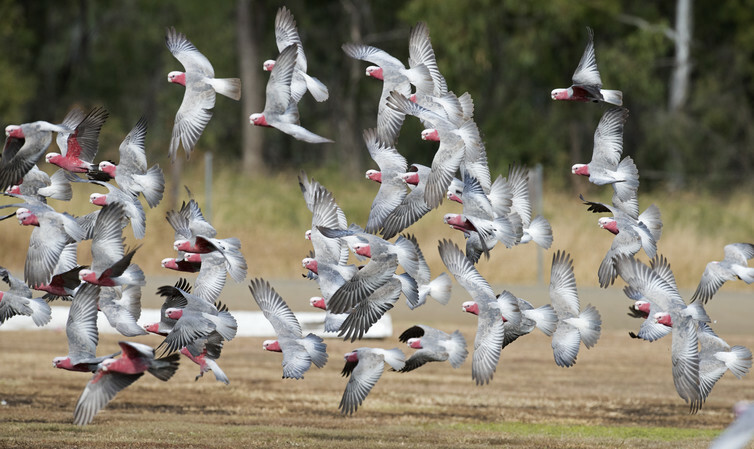 Galahs in flight in outback Queensland. Schodde named them Eolophus roseicapilla albiceps and designated a holotype that was collected in Canberra and is held in CSIRO’s Australian National Wildlife Collection. His detective work at that time didn’t settle the debate. Simple examination of the holotype in Paris should reveal whether it is an eastern or western bird. But the specimen is more than 200 years old and not in great shape. 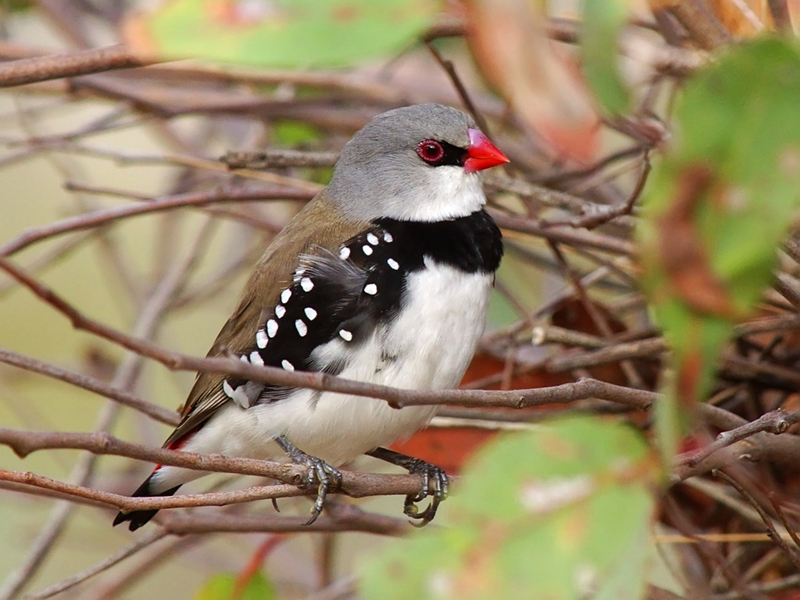 Nevertheless, two recent papers published by Australian ornithologists, including a further one by Richard Schodde, and another by our team, have argued that despite the specimen’s condition it is identifiable as a western bird. Enter DNA to solve the mystery. Australian natural history collections contain hundreds of specimens of galahs from across their modern range. If these specimens show detectable genetic differences between eastern and western subspecies, and if we can get a DNA result from the Paris holotype, we could find out whether it belongs to the eastern or western group. With a colleague in Germany, Thomas Wilke, we mapped genetic diversity of galahs from 192 museum specimens. We found that galahs were likely isolated during the last several hundred thousand years into western, northern and eastern subpopulations. A couple of western galahs. Even today, with the modern range expansions, any galah can be assigned to either of these three genetic groups regardless of where it occurs. Colleagues at the Musée National d’Histoire Naturelle kindly allowed us to snip some skin from the toe pads of the holotype. One of us (Jeremy Austin) obtained DNA sequences and dropped them into our analysis. Et voila! The Paris holotype is identical in its DNA sequence to the most common variant found in western birds. Schodde’s theory holds. Galahs in the west should indeed be named Eolophus roseicapilla roseicapilla and those in the east Eolophus roseicapilla albiceps. There is a third, northern variant but it is not part of our story here. And what of the original scientific name for the western galahs, Eolophus roseicapilla assimilis? That name is not currently necessary but if anyone ever finds differences within the western birds, it may still be needed. So, you’re looking for something to do this holiday season that is outdoors but close to home and won’t cost the earth (literally and figuratively). But you want something more than the average stroll through a national park. Did you know there are over 300 areas in Australia identified for having populations of birds that are significant in terms of their ecology and conservation? The Important Bird and Biodiversity Area (IBA) network was established in Australia in 2009 by then Birds Australia (now BirdLife Australia). Australia joined the program in the wake of multiple other countries and regions that have joined BirdLife International in their quest to draw attention to key areas for bird conservation globally. Sites are assessed for potential inclusion in the network based on the presence of trigger bird species at threshold population numbers. About 50% of the Australian network overlaps with protected areas (e.g. national parks), and the remaining 50% falls in private and other public lands. Many are accessible for visitors in search of rewarding birdwatching (aka birding) experiences. If you haven’t discovered the enjoyment to be had in picking up a pair of binoculars and challenging yourself to identify the birds you find in your view, you are missing out! Australia has some of the most amazing birds in the world. Tim Low has written about the marvels of Aussie birds in his book Where Song Began (2014). A Satin Bowerbird in Queensland. There are books that have been published recently outlining numerous spots worth a visit (e.g. Finding Australian Birds by Dolby and Clarke; Best 100 Birdwatching Sites in Australia by Taylor). Many sites can be found within a couple of hours drive or less of the big cities. You can go birding independently, or if you really want a fruitful day, you can hire a local bird tour guide who will happily share their skills and knowledge of birds in your area. Bird tour operators can be found in all capital cities, and recent research published in PLOS ONE shows they visit important bird areas frequently during their tours. Without further ado, here is your guide to the best places for birding close to some of our main cities. Greater Blue Mountains and Richmond Woodlands IBAs provide the chances to see species like the Regent Honeyeater or Flame Robin. Other trigger species here include: Swift Parrot, Yellow-faced Honeyeater, Pilotbird, Rockwarbler and Diamond Firetail. Werribee and Avalon IBA is arguably Australia’s most popular birding destination among domestic birders. Access to the main birding site (the Western Treatment Plant) site requires a permit from Melbourne Water. Cheetham and Altona IBA is open access via Altona Coastal Park and Point Cook Coastal Park. Both areas are winners for waterbirds and shorebirds. Many shorebirds arrive in Melbourne’s wetlands from the Northern Hemisphere. Moreton Bay and Pumicestone Passage IBA covers the extent of the coast from north Brisbane down the Gold Coast Broadwater. This IBA is an important site for migratory shorebirds that rest here after their epic journey flying from Alaska or Siberia. Heading inland the Scenic Rim IBA overlaps with Lamington National Park and visitors to this IBA can be treated to excellent views of the Satin and Regent Bowerbirds. You might even get to see the Albert’s Lyrebird scurrying through the rainforest floor. Daintree and the Coastal Wet Tropics IBAs provide rainforest experiences like no other. The list of trigger species for these IBAs is very long, but on the top is the Southern Cassowary. 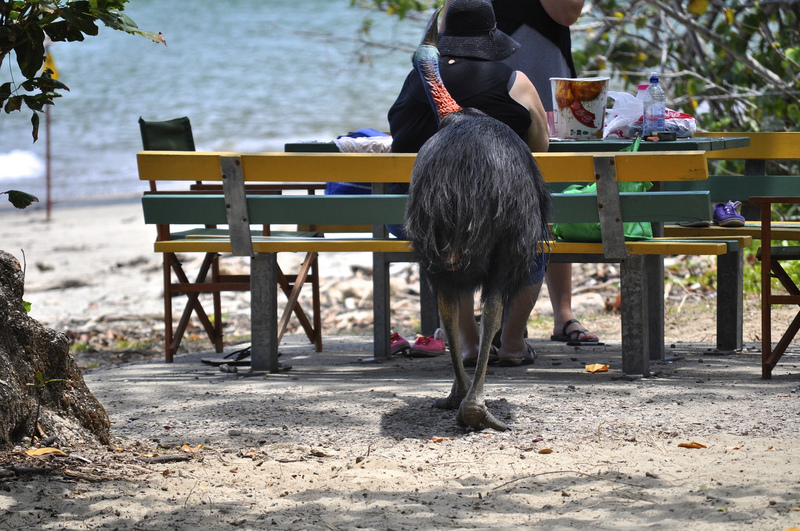 You don’t see the cassowary, but the cassowary sees you. Alligator River Floodplains IBA and Adelaide and Mary River Floodplains IBA comprise the extensive river networks east of Darwin. Kakadu National Park overlaps with the former IBA, and Fogg Dam with the latter. 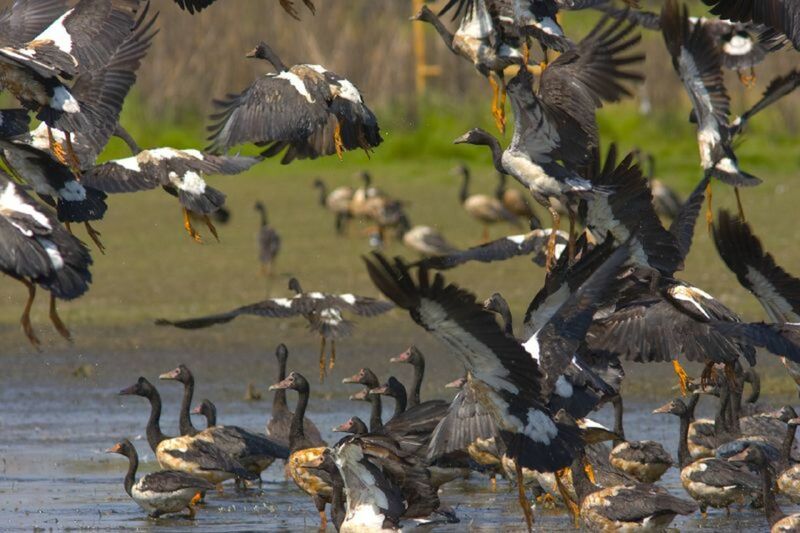 At the very least, a trip to Fogg Dam is a must where Magpie Geese and Wandering Whistling Ducks gather in large flocks, giving awesome views. Magpie geese congregate in huge flocks in the Top End. Bindoon-Julimar and Peel-Harvey Estuary IBAs overlap with numerous nature reserves, providing good access for day trippers. Shorebirds and ducks are in good numbers at Peel-Harvey, whereas Bindoon-Julimar provides the chance to see some woodland species such as Red-capped Parrot and Western Spinebill. 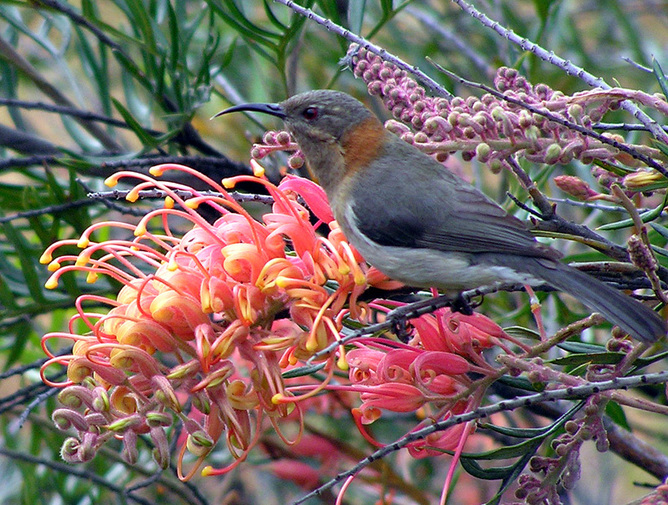 The Western Spinebill has a sweet tooth and feeds on nectar. Bruny Island and South-east Tasmania IBAs are some of the best places to see birds found in Tasmania and nowhere else. The Forty-spotted Pardalote is a little bird that attracts big attention from birders, together with the Tasmanian Native-hen. 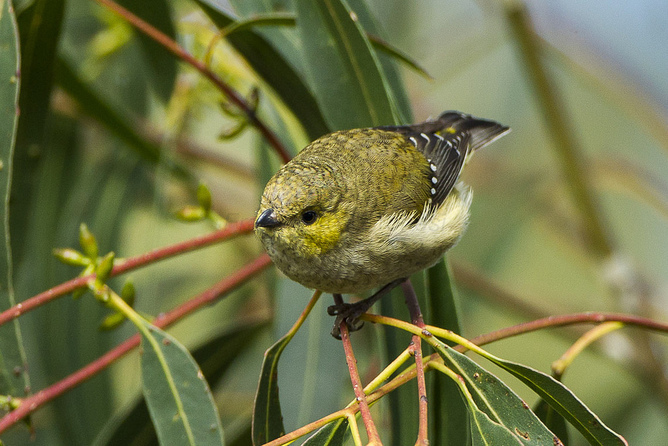 Spot the Forty-spotted Pardalote in southern Tasmania. There are fewer than 50 orange-bellied parrots in the wild: you’ll be lucky to see one. Lakes Alexandrina and Albert IBA is a great spot to see another sought after bird, the Cape Barren Goose. Large flocks of Australian Shelduck are also on offer here. If you are truly lucky you will see the Orange-bellied Parrot, but they are on the decline so be quick. Kangaroo Island IBA is more than likely a weekend trip, but well worth it to see the waterbirds and shorebirds on offer. The Western Whipbird is an often heard but rarely seen resident and you have a good chance of seeing the Purple-gaped Honeyeater here also. If you would like to take your birding to the next level, and get involved in bird conservation visit www.birdlife.org.au to find out more.